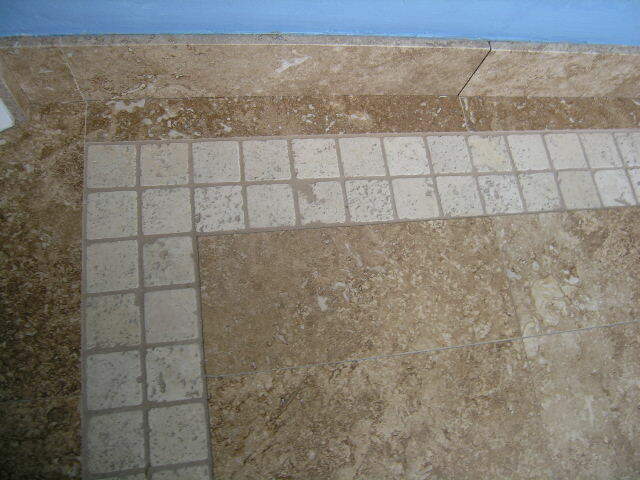 We come in and remove the existing toilet, vanity, flooring, mirror and light fixtures and leave the tub/shower. 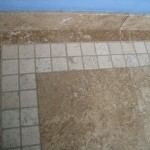 We start by installing a Travertine floor and base trim. Prep and repaint the ceiling and walls. Install new light fixture. Re-install toilet or upgrade to a new low-flow water saving model. Install a furniture style vanity with granite top, sink and faucet. Install new robe hook, paper holder and towel bar that match the faucet trim. Finally we install light fixture(s), a picture framed rectangle or oval mirror.